Reviewing the outcome of the colossal match-up between Chamizo and Burroughs and Dake and Taylors Yasar Dogu dominance. Also taking a look at a new 76kg title contender and the Junior European Championships in Rome, Italy. Nearly four months ago, Jordan BURROUGHS (USA) posted a photo on Instagram with the caption “If you want to be the king, you have to beat the king.” On Saturday, Frank CHAMIZO (ITA) did just that, getting his revenge against the London Olympic champion in front of a sold out Bağcılar Olympic Sport Hall in Istanbul, Turkey. Chamizo, the two-time world champion avenged his loss to Burroughs from May’s Beat the Streets in New York City, outlasting the four-time world champion 10-10 on criteria to win the 74kg Yasar Dogu gold medal. With this weekend’s win, Chamizo evens up the series at one apiece. The next time these two could potentially meet would be in October at the 2018 World Championships in Budapest, Hungary. 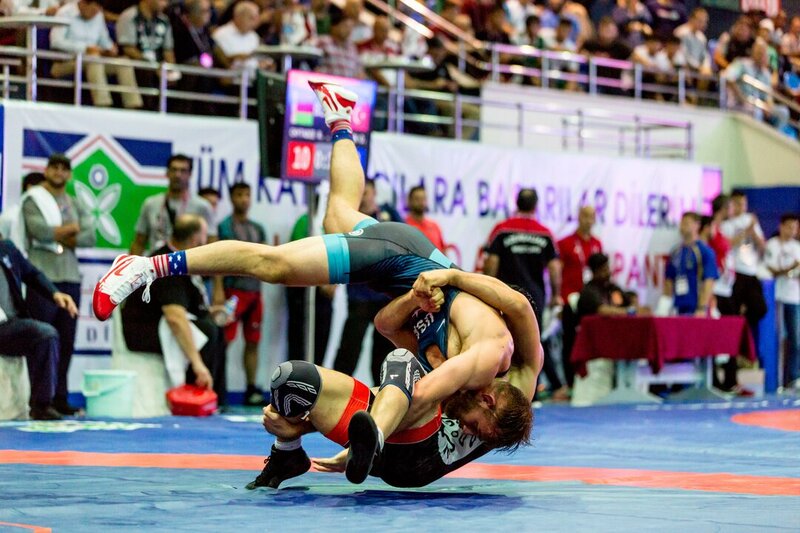 First-time world team representatives Kyle DAKE (USA) and David TAYLOR (USA) thumped the competition, picking up seven falls and a technical superiority victory on their way to winning gold medals at the 46th Annual Yasar Dogu. In the finals, Dake squared off against junior world bronze medalist Ibrahim YUSUBOV (AZE). The American used three takedowns, and a pair of gut wrenches to end the gold-medal bout 11-0 in the opening period. This win gave Dake his third overall international gold medal (2014 Granma Cup and 2017 Grand Prix of Paris). Fellow American David Taylor, the 2018 Pan-American champion also cruised to a gold medal, tallying four dominating wins via fall in route to winning the 86kg gold medal. The second-ranked wrestler in the world took less than 90 seconds to trample Murad SULEYMANOV (AZE) in the finals. In addition to the Ivan Yarygin and Pan-American gold medal, this is Taylor’s third individual gold medal of the year. Aslanbek ALBOROV (AZE), the 2017 world bronze medalist went 3-0 and beat a 2017 European champion and two Olympic champions on his way to making the 97kg finals. Alborov opened his day against fellow countryman, Sharif SHARIFOV (AZE) who is a two-time Olympic medalist, winning the gold in London and bronze in Rio. 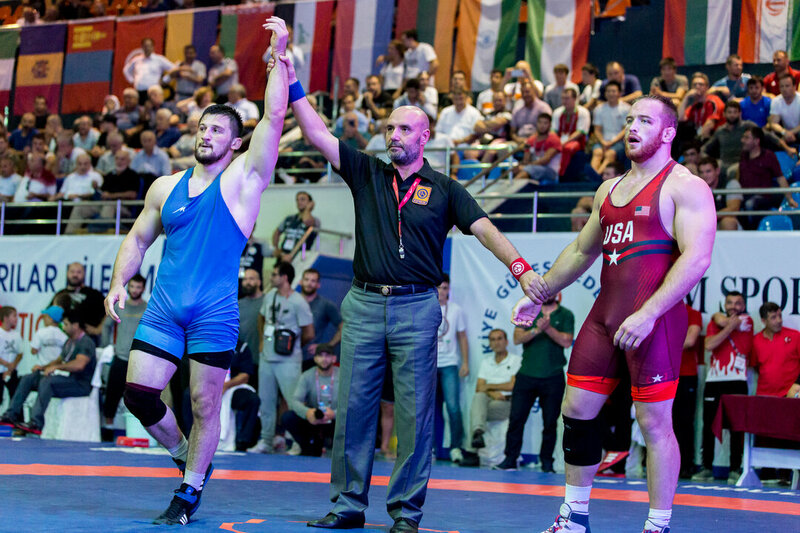 The 2017 world bronze medalist came out on top 1-0 in a match-up that likely determined who is going to represent Azerbaijan in October at the 2018 World Championships in Budapest. Alborov continued his run into the quarterfinals, picking up the dominant 9-2 win over 2017 European Champion, Riza YILDIRIM (TUR). Moving to the semifinals, Alborov avenged his 2017 World Championship semifinals loss to 2016 Rio Olympic champion, Kyle Frederick SNYDER (USA), picking up the 3-3 win on criteria. In the gold-medal bout, Alborov capped off his unthinkable championship run by shutting out U23 world champion and Asian runner-up, Mojtaba GOLEIJ (IRI), 10-0. Aline FOCKEN (GER), 2017 69kg world runner-up defeated 2017 world champion Yasemin ADAR (TUR), 5-3 to win the 76kg #YasarDogu2018 gold medal. 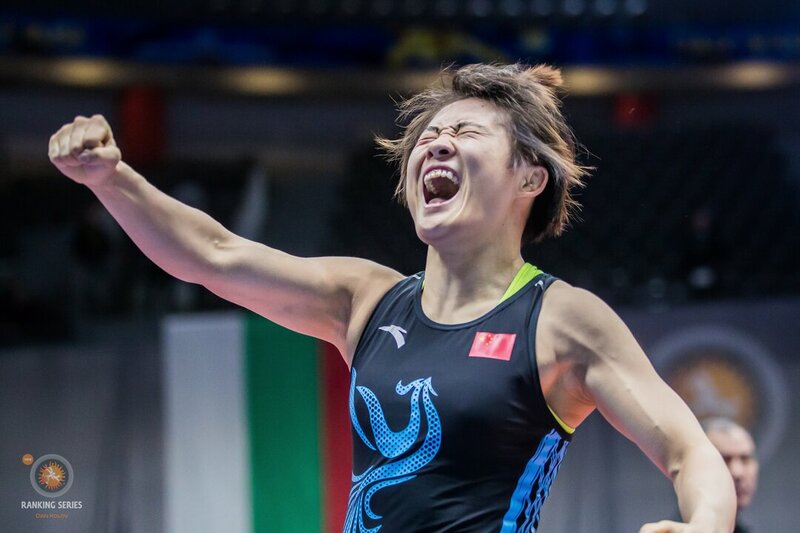 With her win this weekend, Focken adds another title contender into the 76kg #Budapest2018 mix. In addition to Focken and reigning world champion, Adar, 76kg will also feature four-time world champion Adeline GRAY (USA) and Canada’s Rio Olympic champion Erica WIEBE. To display just how open this weight class is, here are five head-to-head results from the four title contenders. The 2018 European Junior Championships begins at the Centro Olimpico – PalaPellicone Monday, July 30 in Rome, Italy. Greco-Roman wrestling kicks off the championships, followed by women’s wrestling. Finally, freestyle closes out the tournament that concludes on August 05.